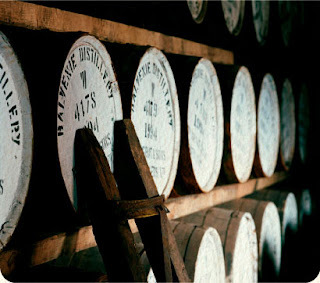 Recently I’ve found myself enjoying the robust taste of good whiskey – enjoyed neat, on the rocks, with lemonade, with pure mango juice – and the one I’m loving at the moment is so yummy. Smooth, full of life, potent and just delicious. I tremble at the taste because it is just that good. It’s The Balvenie, Single malt scotch whisky Doublewood (matured in two distinct oak casks) – unfortunately the quality comes with quite the price tag. Retailing at around R550 per 750ml bottle. Not only for its beauty, but also because the art follows function. 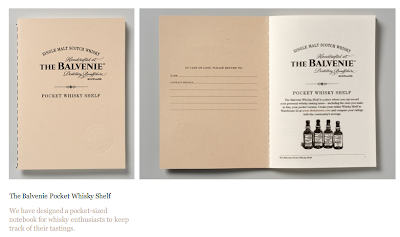 The notebook allows drinkers to document their whisky journey. Yay.